AR: You write in the book that there are two arguments for value investing: “logical and empirical.” It seems like the value investing community heavily emphasizes the former as opposed to the latter. Why do you think that is? This tendency to embrace stories might help explain why being “logical” is more heavily relied upon by investors, – good logic makes as good story. Relying on the evidence, or being “empirical,” is under appreciated because it is sometimes counterintuitive. I’m actually a big fan of a logical story backed by empirical data. This is the essence of our book Quantitative Value. We present a compelling story on the value investment philosophy, but at each step along our journey we pepper our analysis with empirical analysis and academic rigor. AR: You note in the book the importance of Ben Graham and how a continued application of his “simple value strategy” would still generate profits today. Have you seen the recent video about him? He seems to have been as interesting a guy as he was investor/teacher. 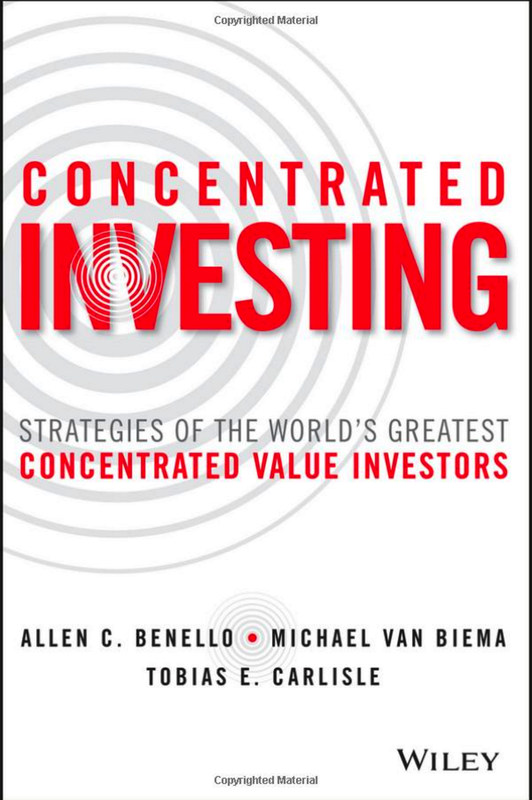 WG: As Toby and I conducted background research for the book, we became more and more convinced that Ben Graham was the original systematic value investor. In Quantitative Value we backtest a strategy Graham suggested in the 1976 Medical Economics Journal titled “The Simplest Way to Select Bargain Stocks.” We show that Graham’s strategy performed just as well over the past 40 years as it did in the 50 years prior to 1976. This is a remarkable “out-of-sample” test and highlights the robustness of a systematic value investment approach. With respect to your question on the video: the recent video circulating the web reinforces our belief that Graham was an empiricist by nature and relied heavily on the scientific method to make his decisions. I also find it interesting that his discussions are so focused on the fallibility of human decision-making ability. Many of the ideas and concepts Graham mentioned regarding human behavior have been backed by behavioral finance studies written the past 20 years. He was well ahead of his time. AR: The value community loves to continue to claim Warren Buffett as a disciple. However today he would be best described as a “quality and price” investor more than anything. What is the relevance of how Warren Buffett’s approach to investing has changed over time? WG: The irony here is that, on average, Warren Buffett’s “new” approach to value investing is inferior to the approach originally described by Ben Graham. Buffett describes an approach that is broader in perspective and allows an investor to move along the cheapness axis to capture high quality firms. Graham, who studied the actual data, was much more focused on absolute cheapness. This concept is highlighted in many of his recommended investment approaches, where the foundation of the strategy prescribed is to simply purchase stocks under a specific price point (e.g., P/E <10). After studying data from the post-Graham era, we have come to the same conclusion as Graham: cheapness is everything; quality is a nice-to-have. For example, the risk-adjusted returns on the higher-priced, but very high quality firms (i.e., Buffett firms) are much worse on a risk-adjusted basis than the returns on a basket of the cheapest firms that are of extreme low quality (i.e., Graham cigar butts). In the end, if you aren’t exclusively digging in the bargain bin, you’re missing out on potential outperformance. Read the rest of the interview here. As Tadas says, the answers are illuminating. 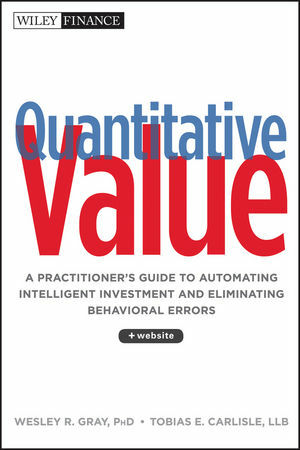 For more on Quantitative Value, read my overview here.